Hosted Desktops are the latest in cloud technology solutions for business. Also known as a virtual desktop, or Desktop as a service (DaaS), it allows you to work anywhere in the world with an internet connection and an internet enabled device. So a hosted desktop can go with you, wherever you go! Midshire’s has its own hosted desktop service called Desktop Monster. Desktop Monster is an award-winning product winning ‘Best Technology Product’ at the TOMs in 2016. Your hosted desktop is a virtual desktop that appears and performs exactly like any standard Windows based computer desktop. Instead of data being stored on your actual device hardware, it is in fact hosted ‘in the cloud’ and when you connect, you are connecting to the files stored in a data centre. The virtual desktop environment is built around you and the software you need, completely personalised to your business needs. All your files and applications can be accessed over a secure connection, from our data centre, via any internet enabled device, making a hosted desktop a convenient and secure solution. A hosted desktop allows you to manage your budget and control your IT costs. As you pay a price per user you can quickly and easily add new users to your solution. Because the costs are fixed, it makes budgeting for IT support extremely easy. Small businesses find that servers are the most expensive items they purchase. The hardware, infrastructure and power costs all quickly mount up to a sizeable sum. Increasingly, companies are looking towards hosted servers instead, which take that initial capital expense away and you simply pay for individual licensing per user. You also remove the need to have or employ on-site IT support to manage your network and servers. These are all included in your hosted desktop solution making it the simple IT solution for growing businesses. Designed and built from the ground up by Midshire Senior IT Experts, Desktop Monster is built on the latest technology and is hosted in a UK data centre with ISO27001 certification for data security. • Work from anywhere – with a hosted desktop, you can access all your business data on your laptop, tablet or phone, with an internet connection. • IT integration – DaaS enables staff to work remotely, combining the IT infrastructure of multiple offices and allowing workers to collaborate e easily through shared storage. • Save on electricity bills – servers can be expensive to run. 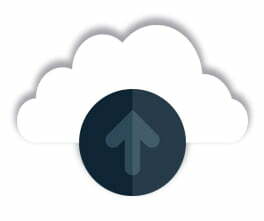 By choosing a cloud based solution, your server will be in a server room external to your company. Additionally, you will need less powerful devices, which use less power, saving money again. • IT support – Midshire become your outsourced IT department, taking away the stress and hassle of software updates, replacing outdated hardware and other day-to-day IT problems. 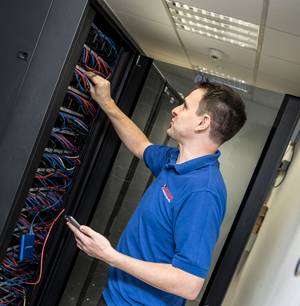 • Security – Our data centre is based in the UK, is ISO27001 accredited and backed up daily, ensuring your data is always secure. • Business continuity – Midshire continually run backups and replication to ensure that in the event of a disaster your business can continue as normal. • Access all your business applications – Midshire is able to host most business applications on our hosted desktop platform. • Scalable and affordable – Add new users to the platform within 24 hours, for just £49.95 per user per month. Midshire and Desktop Monster work in partnership with Microsoft to give users the ultimate flexibility when it comes to remote access to business applications. Microsoft introduced Hyper-V as a virtualisation platform in 2008, and it continued to release new Hyper-V versions with new Windows server versions, ensuring their hosted desktop platforms are as up to date as possible. Users can access their data from anywhere as though they are sat at their desks. Having your business applications hosted on a flexible hosted desktop platform will give you the ability to meet the potential growth of your business with seamless upgrades, eliminating the costs associated with traditional client server software upgrades. Hosted Desktop enables remote working with constant access to all your data and applications, safe in the knowledge that your files are secure and backed up with excellent IT support available. Switching to a hosted desktop is another mainstay for organisations conscious of their environmental footprint. A hosted desktop is a form of virtual space that uses the internet to store your data in the ‘Cloud’ – a computer-generated storage space. It gives you instant and secure access to your business software, documents, and files from anywhere in the world, at any time. A hosted desktop is particularly useful for organisations that wish to save money by removing the need to buy expensive hardware such as servers. 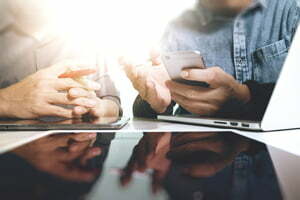 It is also a useful tool for large corporates or mobile workers that need a lot of people to be able to access files remotely, enabling collaboration within the virtual environment.